Keep it classic in the Fred Perry Trilby hat. This vintage inspired natural straw hat has a Blue & Green silk trim, silver laurel adornment & silk lining. hat has a purple, black & silver silk trim, silver laurel adornment & silk lining. 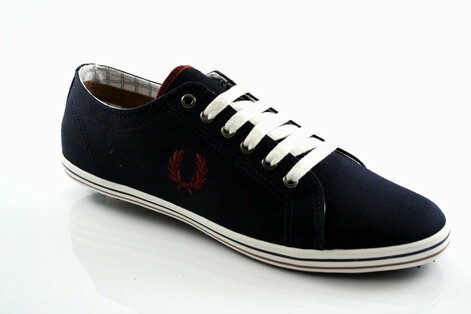 Slim line plimsole silhouette from Fred Perry. Simple lines and vintage detailing have already made this shoe a classic, this model features a tipped foxing around the midsole. Sleeveless Fred Perry dress by Amy Winehouse, created in soft cotton pique with a touch of elastane to aid shape and fit. Complemented by a contrast woven houndstooth collar, this 50s style dress is perfect teamed with loafers and a cropped Harrington jacket this season. Finished with tonal Laurel Wreath embroidery on the chest. Constructed in a fine gauge pure cotton knit. 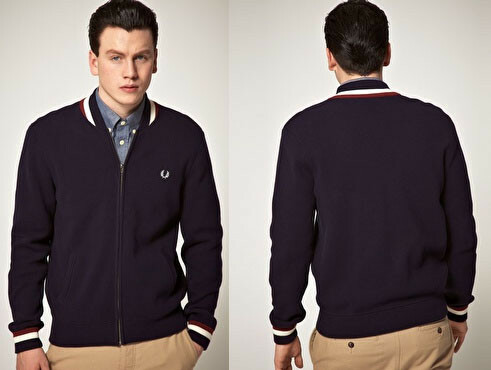 Featuring a band collar with contrast tipped detailing, a zip front fastening, full length sleeves with rib knit cuffs and hem, side entry pockets and a signature laurel wreath emblem to the chest. 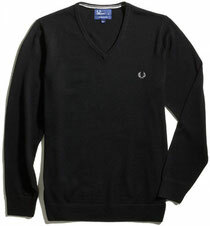 Fred Perry Plain V-neck Sweater in black. Lightweight cotton knitv neck with light ribbing on the collar, cuffs and hem. Finished with signature Laurel Wreath embroidery. Perfect for layering over classic pique shirts or soft cotton t-shirts. 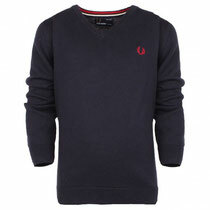 Fred Perry Plain V-neck Sweater in navy. Lightweight cotton knitv neck with light ribbing on the collar, cuffs and hem. Finished with signature Laurel Wreath embroidery. Perfect for layering over classic pique shirts or soft cotton t-shirts.